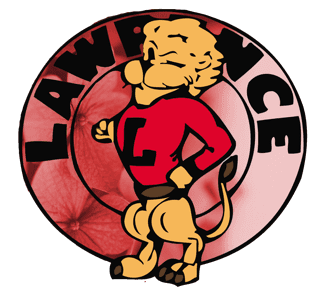 A group of students in Kansas have staged a sit-in to highlight what they called a pervasive culture of discrimination against LGBT students, particularly transgender people, at Lawrence High School (LHS). An event organizer said students talked with the school’s Assistant Principal and notified the administration that they did not intend to end the protest until at least some of their demands had been met. LHS sophomore Elliot Bradley said he and fellow members of the school’s Total Equality Alliance organized the protest. The sit-in, he claimed, came about because of long-standing issues that recently came to a head after several students, some of them LHS football players, made offensive comments in a GroupMe text conversation. More than 200 students were looped into the text conversation, Bradley said, which included comments likening transgender identities to mental disorders, among other things. In the conversation, one student asked, “if a (slur for transgender person) hits you is it still hitting a woman or no?” Another person insisted that the name on a person’s birth certificate determines gender once and for all, regardless of the person’s actual gender identity. Bradley pointed to the school’s “Philosophy for the Student Athlete,” which states that participation in school sports is a “privilege, not a right,” and reminds student athletes that “they represent not only the team,” but also parents, coaches, administration and the entire LHS student body, as well as the district and Lawrence community as a whole. The protesters’ list of demands also asks that these students write an apology to those who were harassed, and also asks for “public recognition that the main group responsible” were student athletes.